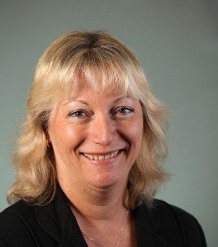 Lynne Oats is Professor of Taxation and Accounting, University of Exeter Business School, Deputy Director of the Tax Administration Research Centre. She worked at the Australian Taxation Office for 10 years and has been a tax academic in Australia and the UK for 29 years. Lynne’s research interests centre on taxation as a social and institutional practice, embracing historical and contemporary tax policy both nationally and internationally. She has a particular interest in new initiatives in relations between large corporate taxpayers, tax advisers and tax authorities and is part of an EU funded research consortium, FairTax. Lynne plays an active role in the tax academic community and has recently been appointed as a Commissioner on the Charity Tax Commission. In addition to publishing numerous journal articles and book chapters, Lynne is Managing Editor of Journal of Tax Administration, Assistant Editor (Accounting) of British Tax Review, and has published widely in the accounting and taxation fields. She is co-author of Taxation Policy and Practice, Principles of International Taxation and Accounting Principles for Tax Purposes. Lynne’s 2012 edited book Taxation: A Fieldwork Research Handbook contains contributions from tax scholars from across the globe. Social theory and taxation, exploring the way in which social theory can be used to help better understand the practices by which tax policy is put into action in society. Tax policy and practice: research with former and current PhD students, concerned with the way in which tax obligations are managed by both taxpayers and the tax authorities, including tax avoidance. Current projects include the role of tax advisors in the large business tax environment, risk management in the context of large businesses and cooperative compliance arrangements with tax authorities, the role of social media in tax compliance and international tax practice including transfer pricing. Tax history: ongoing research into 18th and 19th century taxation, including the Newspaper Stamp Duty project that examines the emergence and subsequent demise of UK taxation of newspapers. Also 20th century taxation, in particular the taxation of corporate profits, including the World War I excess profits duty. Oats LM, Wynter C (2018). Don't worry, we're not after you! Anancy culture and tax enforcement in Jamaica. Critical Perspectives on Accounting, 1-14. Full text. DOI. Onu D, Oats L (2018). Tax Talk: an Exploration of Online Discussions Among Taxpayers. Journal of Business Ethics, 149(4), 931-944. © 2016, the Author(s). We present an analysis of over 400 comments about complying with tax obligations extracted from online discussion forums for freelancers. While the topics investigated by much of the literature on taxpayer behaviour are theory driven, we aimed to explore the universe of online discussions about tax in order to extract those topics that are most relevant to taxpayers. The forum discussions were subjected to a qualitative thematic analysis, and we present a model of the ‘universe’ of tax as reflected in taxpayer discussions. The model comprises several main actors (tax laws, tax authority, tax practitioners, and the taxpayer’s social network) and describes the multiple ways in which they relate to taxpayers’ behaviour. We also conduct a more focused analysis to show that the majority of taxpayers seem unconcerned with many of the variables that have been the focus of tax behaviour research (e.g. audits, penalties, etc. ), and that most people are motivated to be compliant and are more concerned with how to comply than whether to comply. Moreover, we discuss how these ‘real-world’ tax discussions question common assumptions in the study of tax behaviour and how they inform our understanding of business ethics more generally. Mulligan E, Oats L (2016). Tax and performance measurement: an inside story. Advances in Taxation, 23, 59-85. Copyright © 2017 by Emerald Group Publishing Limited all rights of reproduction in any form reserved. Against the background of increasing regulation and spotlight on the tax position of MNEs, this study explores the relationship between tax and performance measurement. The paper is informed by a series of in-depth semi-structured interviews conducted in 2006 with 26 senior tax executives from 15 Silicon Valley-based companies. We also draw on documentary evidence including the relevant 10K reports and take an interpretive approach to the analysis. Many of the performance measures referred to in prior literature were employed in the companies. There was no evidence to suggest the profit centre performance measurement model is being adopted by MNEs for their tax departments. Two distinct aspects particularly exercised the interviewees, that is, the effective tax rate (ETR) and post-tax versus pre-tax performance measurement. Many interviewees did not perceive the ETR as being an appropriate measure of performance, yet they recognised its importance internally and externally. Many companies worked on the basis that there is an 'acceptable range' of ETRs which won't give rise to any unwanted questions. Most interviewees shared the view that a post-tax basis of measuring performance of business units might only serve to increase tax risks, preferring instead for the in-house tax executives to remain the exclusive tax knowledge experts. This study contributes to the diversification of tax research within accounting by demonstrating how qualitative work can provide unique insights. It enhances our understanding of how performance measurement of tax might influence the tax-planning behaviour of in-house tax executives and cautions against exclusive reliance on the ETR as a measure of the effect of tax planning. Onu D, Oats L (2016). “Paying tax is part of life”: Social norms and social influence in tax communications. Journal of Economic Behavior & Organization, 124, 29-42. Full text. DOI. © 2015 Elsevier Ltd. This paper analyses a previously unexamined but nonetheless important facet of modern society - the nature and impact of the relationship between in-house tax professionals in large multinational organizations, and the external business, tax and regulatory environments within which they operate. Drawing on face-to-face interviews conducted with senior tax executives in US multinational enterprises (MNEs), we uncover the social reality of the world in which MNEs' tax executives operate, and find that these tax professionals are a powerful, elite group of knowledge experts who can significantly shape tax law and practices. We analyze the activities of these experts who, although working largely in the shadows of their organizations, are very much engaged in constructing and shaping the wider institutional environment. From a theoretical perspective that brings together institutional work and the endogeneity of law, we find these elite professionals engaging in subtle and diffuse exercise of power at a micro level within their organizations, a meso level between organizations within the field and at a macro level within the wider external environment. This has important implications for our broader understanding of the tax and regulatory environments which corporate actors inhabit. Billings M, Oats L (2014). Innovation and pragmatism in tax design: Excess Profits Duty in the UK during the First World War. Accounting History Review, 24, 83-101. © 2014, © 2014 Taylor. &. Francis. In this article, we examine the design and administration of Excess Profits Duty (EPD), introduced in the UK in 1915. This represented a significant innovation as the country's first comprehensive attempt to tax ‘excessive’ business profits. EPD was a complex tax which had two objectives: to generate additional revenues to help fund dramatically increased wartime government expenditure and to curb ‘profiteering’. Although criticised on numerous grounds, we argue that the tax was surprisingly successful. For all its defects, it generated very substantial revenues, and its design and administration proved flexible and robust in coping with the uncertainties of war. Miller A, Oats L (2016). Principles of international taxation. London, Bloomsbury Professional. Lymer A, Oats L (2015). Taxation Policy and Practice. Birmingham, Fiscal Publications. Telford B, Oats LM (2014). Accounting Principles for Tax Purposes. London, Bloomsbury Publishing. (2012). Taxation: a Fieldwork Research Handbook., Routledge. Oats L, Tuck P (2008). The relationship between HM Revenue & Customs and large corporate taxpayers. London, Institute of Chartered Accountants in England and Wales Centre for Business Performance. Onu D, Oats L, Kirchler E (In Press). The dynamics of internalised and extrinsic motivation in the ethical decision making of small business owners. Applied Psychology Full text. Oats LM, Onu D (2015). Social Norms and Tax Compliance: Theoretical overview and practical implications. Journal of Tax Administration, 1(1), 113-137. Oats L, Sadler P, Wynter C (2014). Taxing Jamaica: the stamp act of 1760 & Tacky's rebellion. eJournal of Tax Research, 12(1), 162-184. In 1760 the colonial assembly in Jamaica passed an act imposing stamp duties on the island colony as a response to increased costs in the wake of a slave rebellion. This article examines the conditions in Jamaica which led to the introduction of the 1760 stamp act, and discusses the provisions of the Jamaican act along with the reasons for its failure. This episode in eighteenth century taxation serves as a reminder of the importance of both the social context and political expediency in the introduction of new forms of taxation. Boden R, Oats L (2013). Article type: Guest editorial from: Journal of applied accounting research, Volume 14, Issue 3. Journal of Applied Accounting Research, 14(3). Oats LM, Sadler P (2013). The Newspaper Stamp Duty: the Unseen Hand in First Amendment Theory. British Tax Review(3). Oats LM, Rogers H (2013). The Use of Advance Pricing Agreements in Transfer Pricing Management. British Tax Review, 76-94. Gracia L, Oats L (2012). Boundary work and tax regulation: a Bourdieusian view. Accounting, Organizations and Society, 37(5), 304-321. Boundaries are ubiquitous in modern social life, and the work of creating and maintaining boundaries is particularly evident within regulatory fields. Through the analysis of a recent critical incident in the tax field (Arctic Systems) with which the accounting profession is intimately associated, this paper uses a Bourdieusian lens to unravel the relational complexities of the regulation of tax avoidance at the complex and fuzzy boundary between acceptable and unacceptable tax practice. We develop an alternative, relational interpretation of tax regulation and contribute to a more nuanced understanding of regulatory practice within the tax field that also raises questions about regulatory practice more widely. We conclude by highlighting how a move towards 'relational' regulation might contribute to improved understanding of regulatory processes and practices. © 2012 Elsevier Ltd.
Oats LM, Leigh Pemberton J (2012). Key principles for efficient tax administration and main reform challenges. European Commission Economic Papers, 463, 52-59. Oats LM, Sadler PB (2011). A conceptual map of tax rule change. Australian Tax Forum, 26(2), 110-135.
to embrace the complexity and hidden depths of tax as a field of enquiry. Boden R, Killian S, Mulligan E, Oats L (2010). Critical perspectives on taxation. Critical Perspectives on Accounting, 21(7), 541-544. DOI. Mulligan E, Oats L (2009). Tax Risk Management: Evidence from the US. British Tax Review, 1(6), 680-703. Full text. Oats L, Sadler P (2008). Accounting for the Stamp Act Crisis. Accounting Historians Journal, 35(2), 101-143. Oats L, Sadler P (2008). Tax and the Labour Market: Taxing Personal Services Income in the UK. Journal of Applied Law and Practice, 1(1), 59-79. Frecknall Hughes J, Oats L (2007). King John’s Tax Innovations: Extortion, Resistance and the Establishment of the Principle of Taxation by Consent. Accounting Historians Journal, 34(2), 75-107. Oats L, Sadler P (2007). Securing the Repeal of the Tax on Material Thought. Accounting Business and Financial History, 17(3), 355-373. Oats L (2005). Distinguishing Closely-Held Companies for Taxation Purposes: Australian Experience 1930 – 1972. Accounting Business and Financial History, 15(1), 35-61. Oats L, Sadler P (2004). Political Suppression or Revenue Raising? Taxing Newspapers during the French Revolutionary Wars. Accounting Historians' Journal, 31(1), 91-128. Oats L, Sadler P (2004). Political suppression or revenue raising? Taxing newspapers during the French revolutionary war. Accounting Historians Journal, 31(1), 93-128. © 2004, Academy of Accounting Historians. All rights reserved. In 1797 the Prime Minister of Great Britain announced a substantial increase in the stamp duty on newspapers. This increase, and indeed the tax itself, has been variously represented as an attack on press freedom and an act of suppression of the working classes. This paper reconsiders these representations by reference to primary sources and concludes that the increases in stamp duty were part of a revenue raising exercise in which taxes on a number of luxury items were increased, including newspapers which were not at the time viewed as being necessities. Sadler P, Oats L (2002). This Great Crisis in the Republick of Letters: the Introduction in 1712 of Stamp Duties on Newspapers and Pamphlets. British Tax Review, 1(4), 353-366. Oats L (2000). Undistributed Profits Tax in Australia. Australian Tax Forum, 15(2), 427-457. Oats L, Morris G (2017). Tax avoidance, power, and politics. In (Ed) The Routledge Companion to Tax Avoidance Research, Routledge Companions in Business, Management and Accounting. Oats LM, Morris GM (2015). Tax Complexity and Symbolic Power. In (Ed) Tax Simplification, the Netherlands: Kluwer Law International, 25-40. Billings M, Oats L, de Cogan D (2015). The Board of Referees: “A Most Useful Addition to Fiscal Machinery”. In Harris P (Ed) Studies in the History of Tax Law, Oxford: Hart Publishing, 107-132. Oats LM, Gracia L (2014). Taxation as a social and institutional practice. In Imam C (Ed) Wiley Dictionary of Management, Wiley. Oats LM, Sadler P (2013). When accounting and law collide: the curious case of pre-1914 dividends in Australia. In Tiley J (Ed) Studies in Tax Law History, Oxford: Hart Publishing. Oats L, Tuck P (2009). The increasing use of financial reporting specialists to secure tax compliance: a UK Study. In Evans C, Walpole M (Eds.) Tax Administration: Safe Harbours and New Horizons, Birmingham: Fiscal Publications. Tax is a fast moving field that cuts across a number of disciplinary agendas. Students studying tax within the Business School can explore new ways of thinking, examining tax as a social phenomenon from the point of view of not only accounting and economics, but also law, politics, history and sociology.